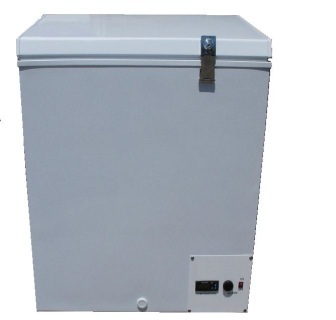 Moderate Cold Freezers are rated at a constant 10C to -34C. Cabinets are engineered to meet industrial needs, and will hold steady reliable temps for years. Each unit is warranted for 18 months, parts and labor and fully covered by our IDS service network. ​The 10C to -34C Moderate Cold Series features a Digital Temperature Controller. 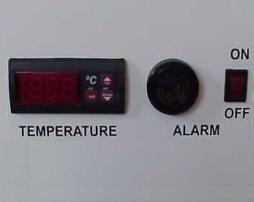 Digital readout can display internal temperature in either Degrees Centigrade or Fahrenheit. An alarm sounds to alert personnel of a rise in internal temperature. (No Battery Backup). Additional accessories will require the purchase of an End Rack. Casters are not standard. These models no longer use sublids, and there have been slight changes in the cabinet over the years. Contact IDS directly with questions. Contact IDS directly for quotes on any chest model with the optional accessories listed below! NO CFC - We use environmentally safe urethane foam insulation, and all components are manufactured using CFC free, non-toxic, non-combustible and non-ozone depleting refrigerant. Key lock is standard on all units. 2 keys provided. grounded outlet is required. 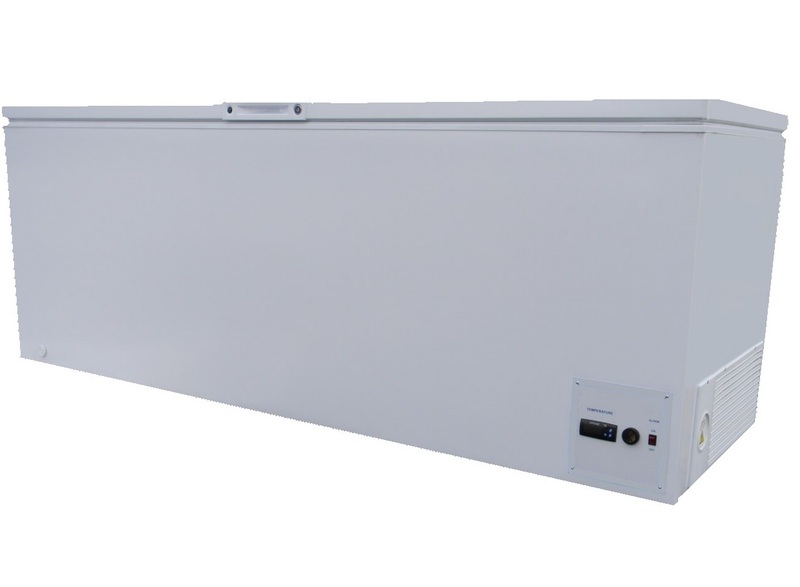 Location must provide enough room to open lid to at least 75˚ - 230V available on special request. Each unit is warranted for a full 18 months. Extended warranty available upon request. Outer cabinet is made of welded steel with high-impact textured powder coat finish. Inner compartment is made of welded steel, epoxy enamel finish. in either Degrees Centigrade or Fahrenheit - Must Specify Preference With Order- We Ship In Degrees Centigrade if not specified. Compressors are permanently lubricated and hermetically sealed. 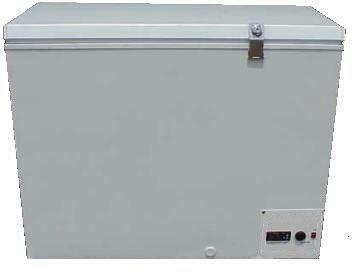 A 220V - 240V compressor is available for the 15, 20 and 25 cubic foot models models at the same cost. Simply request this in the "Note To Seller" box at checkout. Specify 50hz or 60 hz. 60 hz is the US grid compatible version. 50hz common overseas. The standard controller on moderate chest freezers seen here needs to be upgraded to control optional accessories. Note: If you would like the readout in degrees F, please specify in the checkout "Note TO Seller" section . The readout in degrees Celsius comes standard. 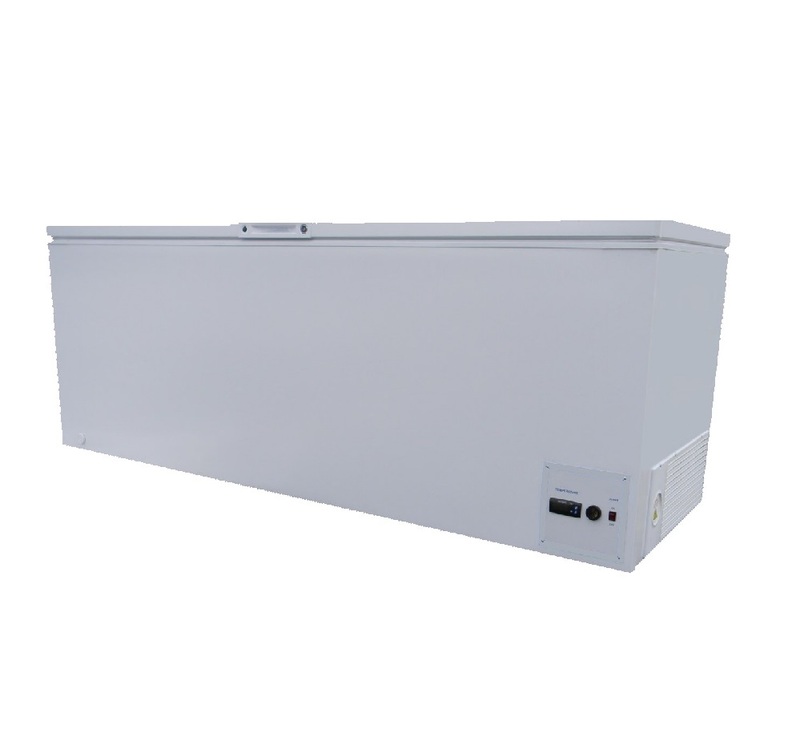 IDS chest freezers are available in 220V - 240V, can be shipped without a plug or specified NEMA number, installed before shipping. Ask us for a quote for your needs. NOTE: Dimensions listed are the box dimensions and do NOT include the "step" shown in the picture on the product page in our store or by placing the item in the shopping cart and then reviewing it's specifications before you complete your purchase. Some have the step on the right, some on the left. For 5, and 7 cubic feet the step will be: 7-1/2" W (left to right) x 8-1/4" H x the depth of the freezer. 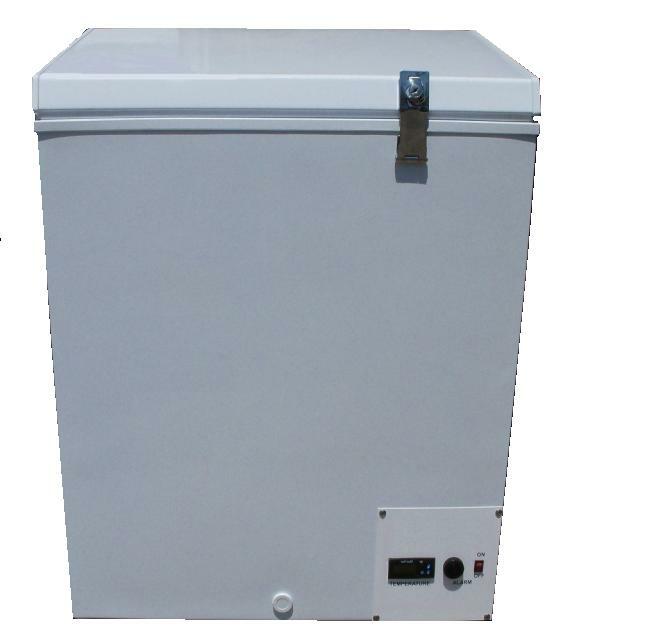 For 15, 18, and 22 cubic feet, the "step" will be: 9-1/2" W (left to right) x 10-1/2" H x the depth of the freezer. The 5,7 and 9 cubic foot models have the step on the right, and the 15, 18 and 22 cubic foot models have the step on the left. See the "View Details" button for specifications.